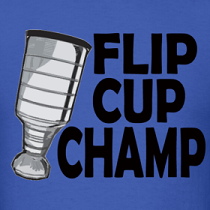 Dirty Dangle Hockey: What Will Yzerman's 2014 Team Canada Look Like? What Will Yzerman's 2014 Team Canada Look Like? 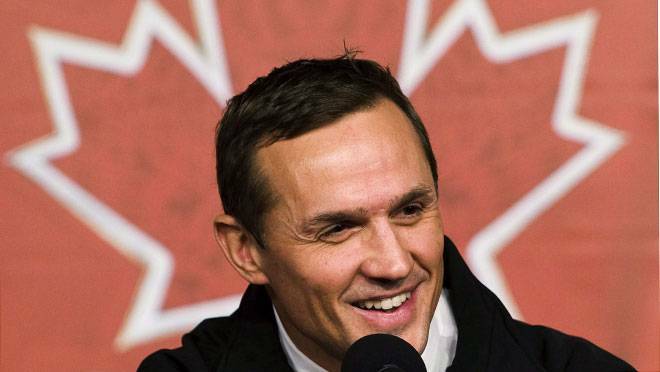 It was announced earlier this week that Steve Yzerman will return to every fantasy poolies dream job of being the man in charge of picking Team Canada's entry for the 2014 Olympics. His official title is Executive Director and he will be assisted by Detroit Red Wings GM Ken Holland, Edmonton Oilers President Kevin Lowe, St. Louis Blues GM Doug Armstrong, Hockey Canada President Bob Nicholson and Hockey Canada VP, Brad Pascall. The Olympics is just under two years away, but let's have some fun here and see what the team could look like for 2014. Instead of just looking at the NHL leaderboards and picking guys that are doing well now, let's try and predict how certain players will develop and see who might have the chance to represent wear the Maple Leaf in Sochi, Russia. Starting in net, let's see what goalies might be picked. These studs have to be the top three choices come 2014. Roberto Luongo could go for the experience factor and for mentorship, but we'll see how he's doing in two years. There's a lot of Canadian d-men that could be Olympic-worthy, but only 7 can make it. An aging Dan Boyle will have to make room for the young stars, but if you want a good mix of offensive and defensive defencemen, there's a solid 7. Other options include: Tyler Myers, PK Subban, Marc Staal, Brian Campbell, Brent Burns, Dion Phaneuf, Mark Giordano and Michael Del Zotto. Who knows, maybe they'll want Team Canada powerplay specialist Ryan Ellis on the squad. So many options, it'll probably come down to chemistry and who can play a different role than they're used in the NHL. Other options might include: Matt Duchene, Taylor Hall, Tyler Seguin, Jeff Skinner, Jason Spezza, Patrick Marleau, Logan Couture, Patrick Sharp, Evander Kane, and Brad Richards. Obviously it's difficult to predict if players performances will decline in Ovechkin-like fashion, or if a player gets injured, but Canada's 2014 Olympic team will look really strong on paper no matter what... as long as NHLers participate. Giardano and Del Zotto but no Hamhuis? One of the best defensive dmen in the game. No leafs - this is ridiculous. I'm not a Don Cherry fan but give me a break, the leafs are Team US development league. Lucic, Benn and Eberle? You're actually a crazy person. Seguin, Couture and Spezza are markedly better than those three. It's not even close. Lucic and Benn would be great on the 4th line. And Spezza really? Eberle is a hit or miss. We can see how he does next season. I'd rather have Kane on the fourth line than Lucic. I'd also be pretty surprised if Bergeron made it over Seguin and Hall.